*Sessions can be joined at a pro-rated cost after the session begins, space permitting. One make up class may be taken within the pre-reg session dates. 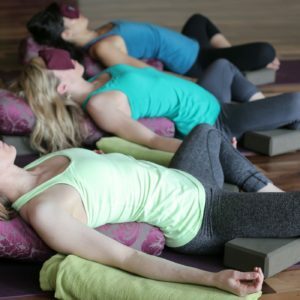 Therapeutic Yoga, Beginner Yoga & more! Prana Gift Cards are available in any amount. Yoga is proactive wellness for physical, mental and emotional well-being. Help support someone you love to have a sustainable yoga practice! Perfect as a birthday or holiday gift, a thank you, or a surprise, Prana giftcards are beautifully designed and always well received. HOLIDAY hours are variable, please come 20 minutes before classes begin, see schedule page. These hours do not depict class times, please visit our schedule page for a list of our current classes. If you would like to stop by outside of class hours, it’s best to call ahead to make sure a receptionist will be at the desk. Hours are subject to change without notice. Feel free to drop by during the hours listed above to take a tour of our beautiful studio, pick up a schedule, and fill out a waiver, or simply arrive 20 minutes before your first class. 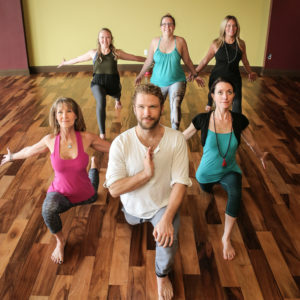 Prana does not issue any refunds or credits for workshops, missed classes or unused passes. Pre-registered class and workshop cancellations must be given with at least 48 hours notice to obtain studio credit. For last minute cancellations (under 48 hours before) there are no refunds unless you are unable to attend due to medical reasons (doctors note required) a credit may be issued to your account to use at a later date. There are no refunds given for any full weekend workshops, however a credit may be issued for future course if cancellation is 7 days in advance, minus a $50 admin fee. Click here for Yoga Teacher Training policies. Passes can be purchased before classes, by phone or online.